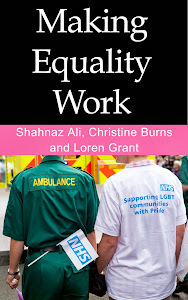 TWELVE MONTHS AGO I published the first volume in my unique history of the rise of Trans activism in the UK. 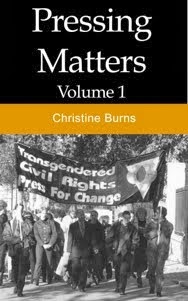 Pressing Matters reveals the amazing story of how Trans people became one of the most marginalised minorities in British society, and how a tiny group of volunteers organised together to build a campaign to change that. It was a long and arduous journey — the hardest part taking more than twelve years — and there were many barriers to overcome and disappointments along the way. This was all described from my own unique insider perspective as one of the leading activists. Everything is based on archived records to ensure a thoroughly accurate account of events. 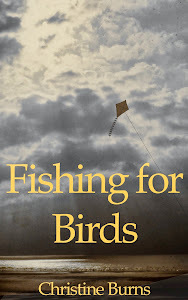 Volume One was published on 29th December 2013 and was met with universal praise from those who’ve read and reviewed it. That first volume covered the period up to the end of 1997, when the campaign group Press for Change was fully functioning and beginning to see the possibility of success. And now Volume Two completes that story, picking up at the start of 1998 and detailing the twists and turns in a tooth and nail battle to get around the table with government and shape new legislation. As with the previous volume, this is meticulously researched from contemporaneous records, making this the definitive history of a key period in trans history. Pressing Matters volume two is available now for download. You can read a sample by tapping and scrolling the image above. The previous volume is also available here. Today we see people interested in engineering and mathematics. Really engineering and mathematics topic is interesting. I think it’s valuable subject. Looks great! I love how "messy" it is... top 10 writers great style! I love that your projects are always so unpredictable! I was always a big promoter of environmental, wildlife and sealife protection. Everywhere I traveled I met new people and after a couple of hours of talking I managed to convince them how important is to have a healthy environment around us. This way, I showed them the article at https://www.alternative-energies.net/top-environmental-issues-that-we-are-facing-today/ and after reading it they turned into green persons.